On Tuesday, January 22, 2019 Mr. John Paul Major passed away in the Lloydminster Hospital at the age of 91 years. John is survived by his Loving Wife Eileen Major of Lloydminster; Children Yvonne Major of Aldergrove, B.C., Marie (Charles) Putz of High River, Richard (Vicki) Major of Edmonton and Terry (Alandra) Major of Edmonton; 7 grandchildren and 8 great-grandchildren. 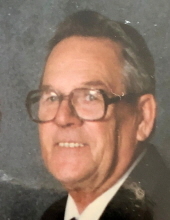 A Memorial Service for John will be held at 2:00 p.m. on Saturday, February 2, 2019 at Kingdom Hall of Jehovah’s Witnesses, 1502-49 Ave, Lloydminster. "Email Address" would like to share the life celebration of John Paul Major. Click on the "link" to go to share a favorite memory or leave a condolence message for the family.